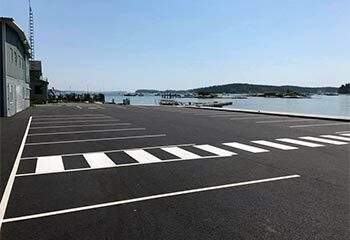 Fine Line offers professional layout, removals and parking lot pavement striping to help ease traffic flow to large commercial properties. 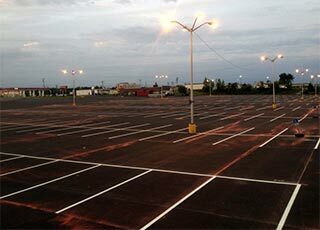 Our crews have vast experience with large scale layout allowing property owners and contractors to hand off this time consuming task and still have the desired results. 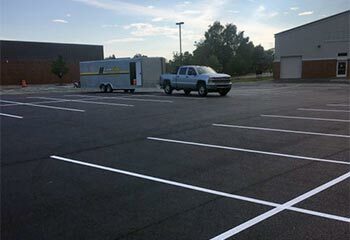 Fine Line also offers removals of existing pavement markings. 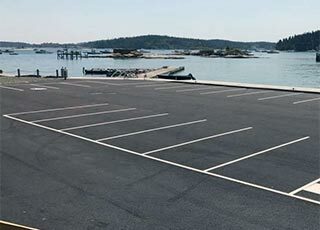 Our industrial pavement marking removal machines can grind existing pavement markings to ensure minimal pavement damage but allow changes in the traffic flow without the risk of future wear-down that occurs with blacking-out existing markings. 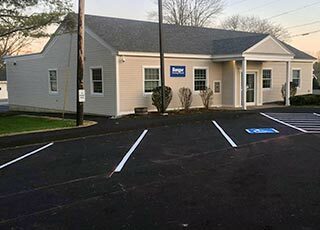 We also offer ADA compliance consultation to help property owners and contractors guarantee their parking areas meet federal specifications and guidelines. 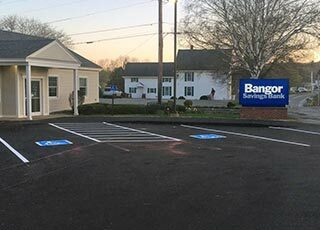 Fine Line can handle everything from layout of ADA compliant parking areas to installation of ADA and Handicap Parking Signs.